I'm getting ready for a visitor this week so I did not do much cooking over the weekend. I did, however, stop at Bun Mi Express to try their sardine banh mi. I stopped in on my way home from work on Friday night. They were busy, and had just pulled the loaves of bread from the oven. (They do not make the bread on-site, as I had originally thought they might. They are delivered par-baked, and they bake them off there.) Because they were busy, it also took a while, but I figured it was worth the wait. When I got home, I unwrapped my sandwich with much anticipation. It had the same fresh ingredients as the BBQ Pork sandwich I had previously ordered, but there was a critical difference with this sandwich. The bread was still hot-out-of-the-oven when they made my sandwich and wrapped it, so by the time I unwrapped it all of the crunch had steamed out of the crust of the bread. It still tasted ok, but it was a bit of a disappointment. I'm not sure of the answer to this problem, other than to make sure I only go when they are not busy and the bread has been sitting around long enough for the crust to stay crusty. And I have one more (milder) issue with the restaurant. They do not open until noon on the weekends. Twice now I have thought I might stop in on the way home from the grocery store on a Sunday and treat myself, but both times it was before noon. It was 11:30 one week and 11:45 the next. If they opened at 11:00, I think they might get a little more business. They would certainly have gotten more business from me. Thank you for sharing your recipes and foodie experiences. 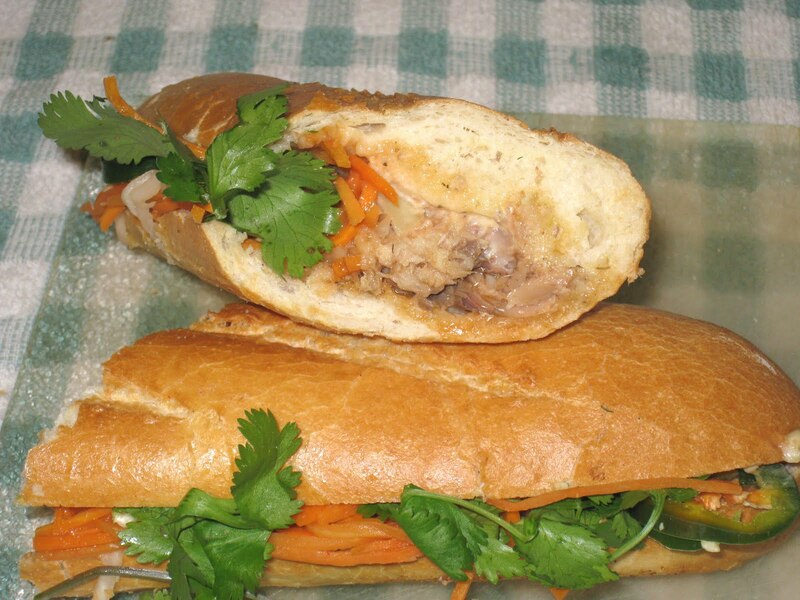 I came to your site because I love reading about all things "banh mi". I've never had a sardine banh mi before. I am a die hard fan of the dac biet. I am amazed at how long you have been blogging!